This course is an AI-Design Sprint that focuses on process automation. We are thrilled to lead this open course in collaboration with DanskIT. BotSupply is going to use the tool we developed together with them – with it developing the functionality and personality of a chatbot together with their clients. We are thrilled and excited. 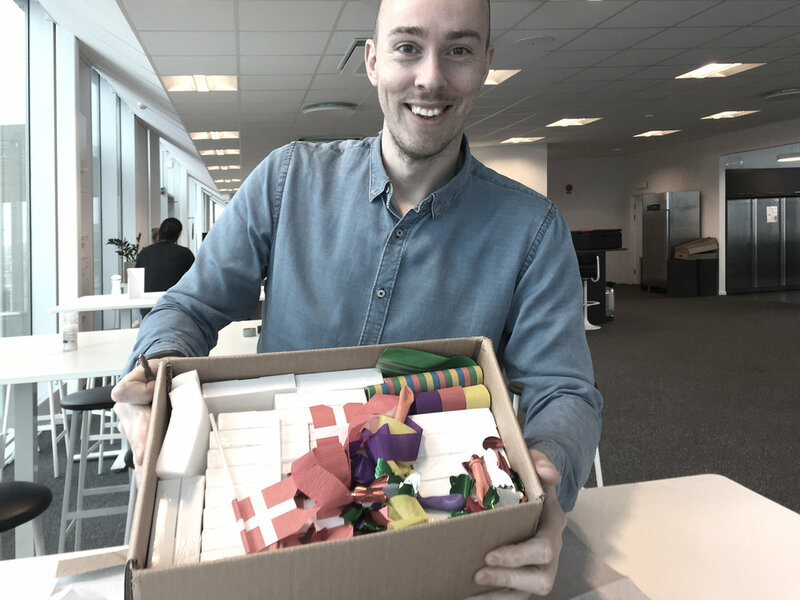 Today we came by and handed over Henrik, Conversational Designer & Project Lead, the AI-Design Sprint Chatbot starter package – which surely was a reason to celebrate with some flags. We will be launching a MethodKit 33A AI Card Deck this fall. The spreading of the positive power of AI got a boost today – Jayway will use our AI-Design Sprint tool for developing AI applications with their clients. They are a design driven software studio with offices in Malmö, Halmstad, Stockholm, Copenhagen, and Palo Alto. We are super happy to collaborate with Jayway. We came by in person and delivered the AI-Design Sprint tools to Dennis Overhage, Design Lead at Jayway Malmö. It was a blast.